The summer months often see the workplace a little quieter than usual. Half the office are away on holiday, relaxing on a beach or by a pool somewhere exotic. Decision makers are also likely to be taking some time away from their businesses. And while a summer break gives us that much needed time to relax, it’s also a great time to get inspired. A little time out allows you to come back feeling reflective, reinvigorated and ready to tackle the problems you left behind - like growing your business. Generating leads and expanding your customer base isn’t easy. But if you’ve been struggling with business growth and haven’t yet experimented with any of these tried and tested marketing strategies, this summer might just be the ideal time to dive in. Blogging remains one of the most effective ways to grow your business. In fact, B2B marketers who blog receive 67% more leads than those that don't. The rationale for blogging is two-fold. First, it helps drive traffic to your website. Google wants relevant content at the top of the list, and by regularly publishing new content you are reminding them that your website is active. Every time you write a blog post, you create one more indexed page on your website - and one more opportunity for you to show up in the list when they search for solutions like yours. Second, by creating engaging, informative and helpful content you demonstrate your expertise in your field and build trust with prospective buyers. In an increasingly crowded B2B marketplace, people want to work with companies that truly understand their needs and challenges. What’s more, having a blog humanises your company. Your prospective buyers are real people and want to read content that speaks authentically to them. For many of us, social media is a part of everyday life - whether we like to admit it or not. 66% of the UK population are active on social media and are spending up to two hours a day browsing the likes of Twitter, LinkedIn, Facebook and Instagram. A recent survey of B2B buyers showed there is a growing reliance on social media to research potential vendors or solutions. And this is a great opportunity for marketers. By creating interesting, entertaining and/or useful social posts, you can increase your company’s presence and attract more prospects. You can also use social media to build a community around your customers and prospects to build support and engender advocacy. A community is a great way to support existing users of your products or services and demonstrate to prospective buyers your future commitment to them, should they make the decision to buy. And loyal customers can make powerful case studies which are particularly effective at converting prospects. For many businesses, word of mouth will have been key to generating leads and sales at some point in their journey, especially when first starting out. But how effective is it in a digital age, where buyers have access to potential solutions at the tip of their fingers - quite literally - with a simple Google search? Influencer outreach is the modern, online equivalent of word of mouth. Influencer outreach means reaching out to industry experts, respected commentators, business leaders, or even review sites, and getting them to talk about and endorse your company’s products and services. However, it’s not just about bringing in the big guns. Influencer outreach should start at home. Your staff have influence too, so encourage them to share your content. There are a plethora of influencer marketing platforms available that can help you identify and target influencers. Here’s just a few: Followerwonk, Pitchbox, BuzzSumo. We also recommend taking a look at this post on how to create an influencer outreach strategy. With the rate at which Google are adapting their algorithms, it's no real surprise that many people are frightened by search engine optimisation. Yet when you get a proper handle on SEO, it can be truly powerful for growing your business. It can increase your inbound traffic and give your business credibility. Investing in SEO will increase your visibility over time, which helps you maintain a high search ranking. If you’re using HubSpot, you’ll be aware of the shift in focus from keywords to topic clusters. Topic clusters aim to strengthen your site’s architecture, making it easier for Google’s algorithms to crawl the content and determine its relevance. But this shift doesn’t mean discarding your entire keyword strategy. They are still useful in developing topic clusters, pillar pages and semantic links. The trick now is to focus on building a rich library of content for a core topic to which your keyword is closely related. Video marketing is about more than just visuals. Using video has been proven to drive a 157% increase in organic traffic from search engines. And including a video on your landing page can increase conversions by 80%. But what is it about video that makes it so powerful? Video helps to bring your company and your product or service to life. It shows authenticity and personality. It’s also one of the easiest types of content to consume. We are drawn to visual media, and process images faster than text. And video helps you get to the point - whether you’re demo-ing your product in an explainer video or sharing a case study - in a vibrant and engaging way. Investing in video marketing isn’t as difficult as some may think. Producing web videos for marketing purposes is in fact good value for money, with the cost of high quality video cameras and editing software coming down all the time. But if you don’t want to invest in your own equipment or take on the responsibility of doing it yourself, there are agencies out there that can create online video for you, to your specifications. Businesses are always working to identify and leverage marketing strategies to promote growth. But the summer is a time for reflection, and hopefully this blog post will have given you some fresh inspiration. 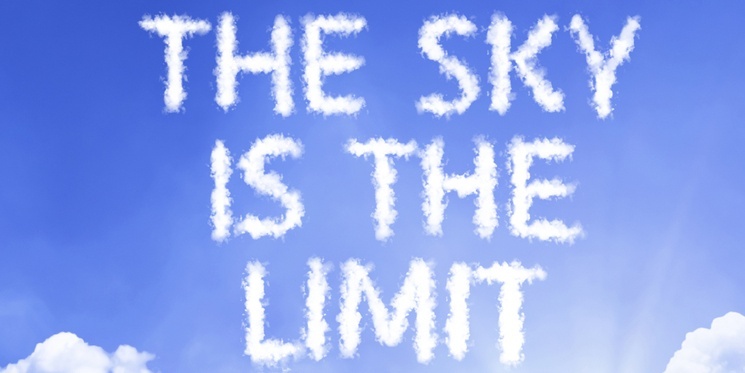 Get these marketing strategies right, and the (blue) sky’s the limit for growing your business.